Save the Date: January 30th. Join us for a Quantum Goal-Setting Session! Did you know that by January 15th, more than 68% of all New Year Resolutions in 2013 were already broken? (Source: BusinessNews Daily). Do you struggle with keeping your resolutions or goals? Do you feel stuck in particular area(s) of your life? Do you see yourself repeating the same unhealthy patterns in life, work and/or business? Do you hear your inner voice whispering that you can BE and DO so much more in life? Are you inspired but do not know how to channel or monetize your passion? Are you ready to do something radically different in order to get different results? 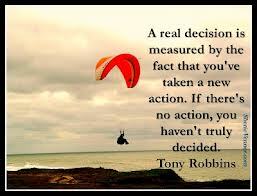 Then, simply decide now to take ACTION and join us for a powerful and transformational Quantum Goal-Setting Session. This is beyond making SMART goals. Come and let’s share and learn top proven tools and strategies, developed in the Human Potential Industry, used successfully by top leaders, artists, change-agents…., all around the world! 7. Practice the art and science of modelling excellence. ( A fun, interactive and life-changing group exercise designed to shift you instantly and GUARANTEED to give you results in any chosen area of life! All learning, change, behaviour are UN-conscious. Your conscious mind is the ‘goal-setter’ while your unconscious mind is the ‘go-getter’! In order to achieve your goals and have meaningful/ sustainable change, you need to have ALL the different PARTS of you on board. Let’s pattern-interrupt your old habits and get you off to a wonderful start in 2014. Remember, until you lead and transform yourself, it is futile to attempt to lead others. And you are either COMMITTED about your personal growth or you are serious about pretending to change and grow. Either choice takes commitment; it’s your call. 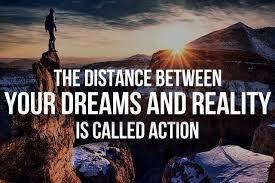 Take ACTION today and transform your world! Live passionately, purposefully and powerfully. Take empowered ACTION towards a Healthier, Sexier, Wealthier YOU! ← 10 Little Things that can make a Big Difference in your life in 2014!